Finnleo is a high quality sauna manufacturer based in Minnesota that provides a wide array of both traditional and modern sauna options. The company has roots tracing back over 90 years and is thoroughly dedicated to providing users with an authentic Finnish sauna experience. They have many different options that range from luxury saunas to affordable saunas and have the variety that allows them to meet the needs of any customer. The one thing that truly separates Finnleo from many of the industry’s best is their ability to combine the traditional Finnish sauna culture with modern technology. While they understand the importance of developing new technology to create better products, they also make sure that they stick to their roots in order to provide the most authentic experience possible. One of the coolest features that Finnleo offers is the ability to build your own sauna. Customers have options that include type of sauna, room, heater, interior design, and even the type of wood that will be used on the exterior and interior of the sauna. 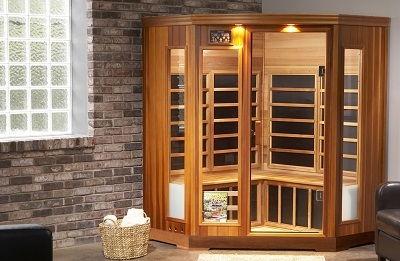 Once the sauna is designed, customers can then request a quote for how much their customized design will cost. At the end of the day, Finnleo’s ability to provide a technologically advanced yet authentic experience is something that puts them on a different level than many other manufacturers. Very few companies have the ability to do what they do at the level they do, while also having the wide variety of affordable and luxury based options that they offer. One thing is for sure, customers won’t be disappointed when purchasing from Finnleo.